What would you say if somebody tells you that he will take a 3,500 km journey across the Indian subcontinent with a 7 horesepower rickshaw? 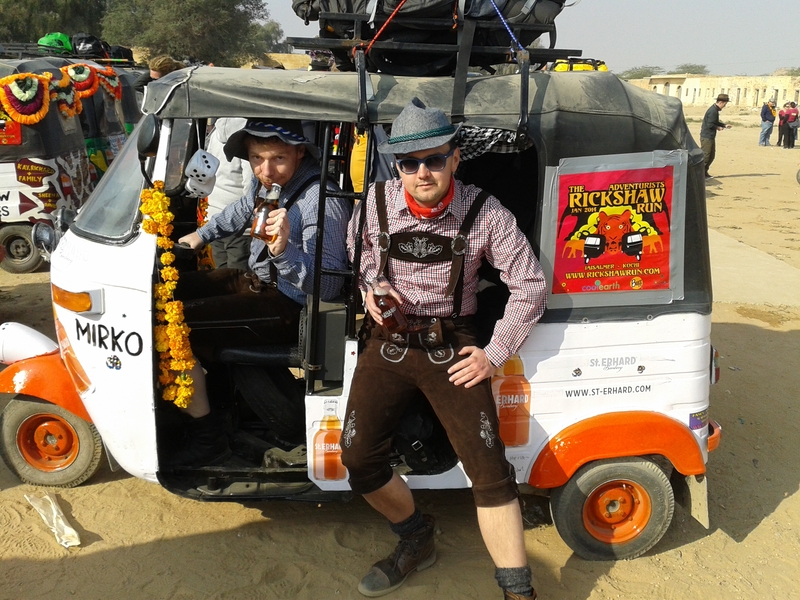 You might think this is crazy and so thought we when we were addressed by Björn and Mirko who wanted to form a German team to participate in “The Rickshaw Run” 2014. But because we like crazy ideas and have been a crazy idea ourselves when we started off exporting German beer to India we wanted to support them. The start of the race has been January 1st 2014 in the City of Jaisalmer in Northern India. 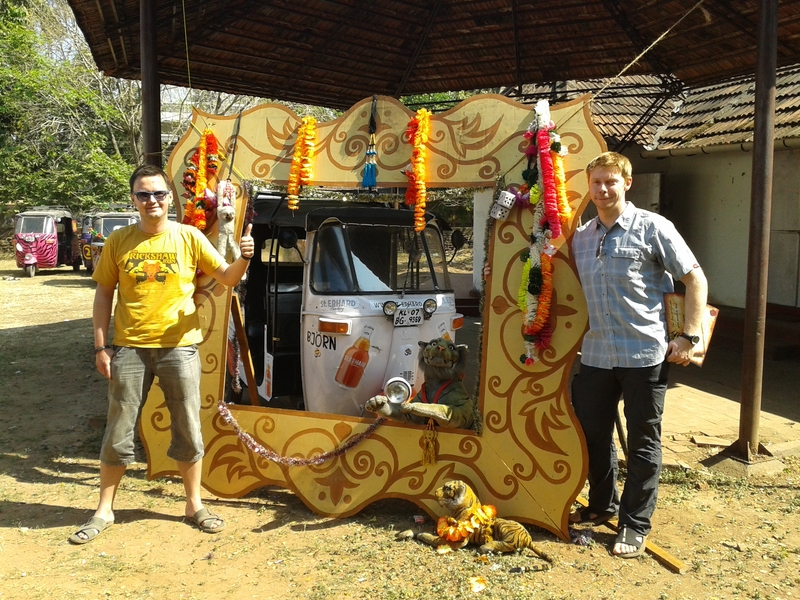 For the next 14 days they will try to make their way to Cochin in Southern India. A given route does not exist, the journey is the destination. A price is just as rare, winners will be all. The Rickshaw Run is also a charity event where each team collects money for a nonprofit organization. In addition to the environmental organization Cool Earth the team raises funds for SOS Children’s Villages. We will keep you posted on the recent developments and inform you about anything that happens on their way.